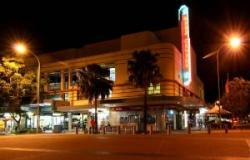 Majestic Cinemas Pty Ltd are innovative leaders in independent cinema. Our cinemas are places of community enrichment as well as places of business. We provide a high quality cinema experience which is affordable, friendly and responsive to customer, staff and community needs. Majestic Cinemas is the fastest growing cinema group in NSW with five sites: Singleton, Port Macquarie, Nambucca Heads, Inverell and The Entrance.